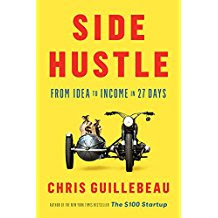 Chris Guillebeau, author of The $100 Start Up, Born for This, and other books, joined us at Powell's last evening to share and present his latest book, Side Hustle, which I've read and highly recommend. Standing room only! Subscribe to this blog! Thanks.